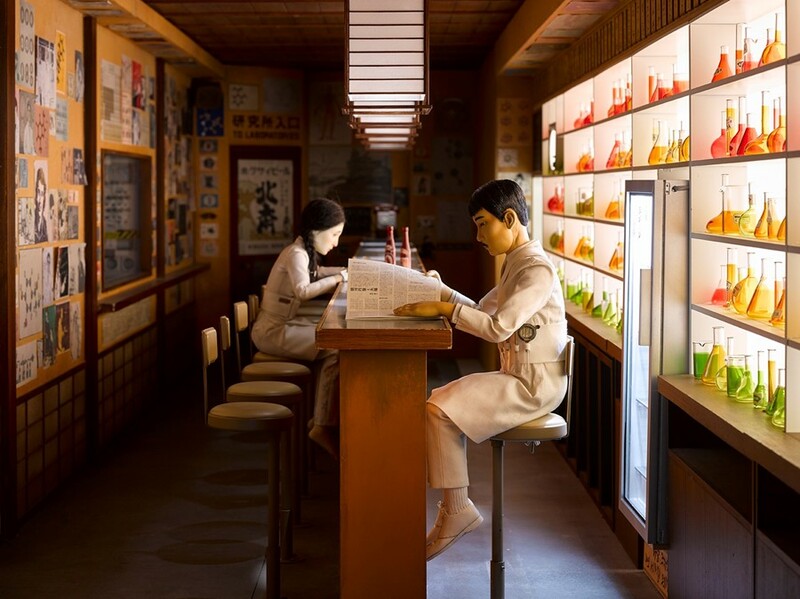 Isle of Dogs, the latest offering from cult filmmaker Wes Anderson, is a stop-motion movie based 20 years from now in the fictional Japanese city of Megasaki. In this almost-apocalyptic, eccentric future, all dogs have been exiled to Trash Island in order to control an outbreak of “dog flu” and “over saturation”. It’s on Trash Island that Anderson introduces us to canines Chief, Rex, King, Boss and Duke – played by Bryan Cranston, Edward Norton, Bob Balaban, Bill Murray and Jeff Goldblum, respectively – who roam the island as a group, and end up helping 12-year-old Atari find his lost dog Spots. 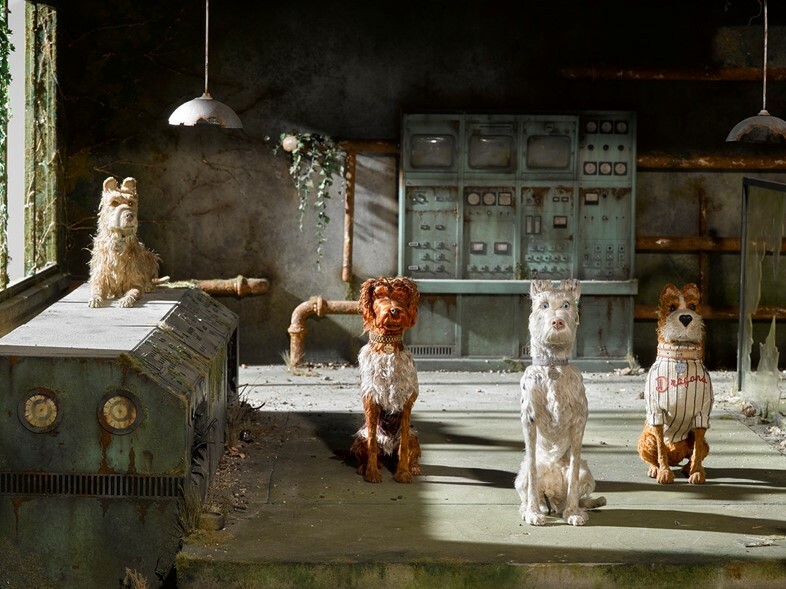 In typical Anderson style, Isle of Dogs is kooky and charming, and its visceral animations and intricate sets entrance. 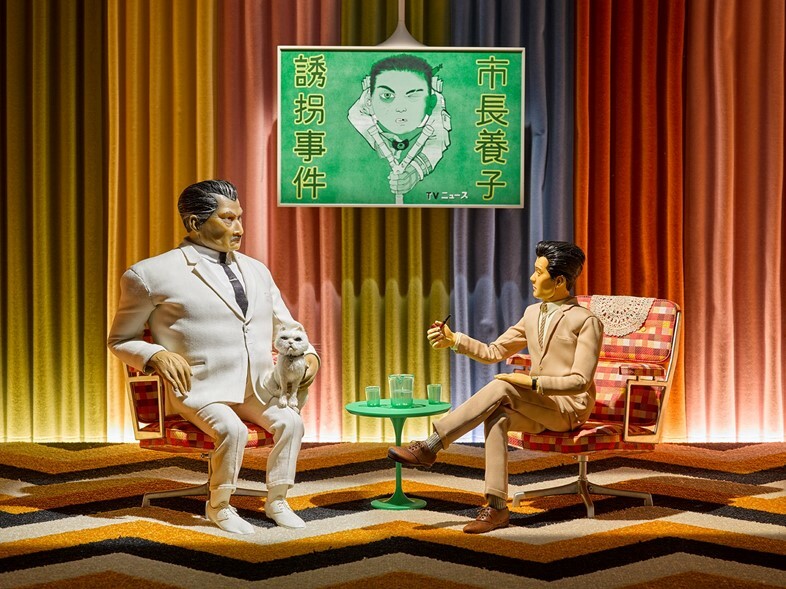 Those sets, and puppets from the film, are on show in London for just under two weeks at The Store X. 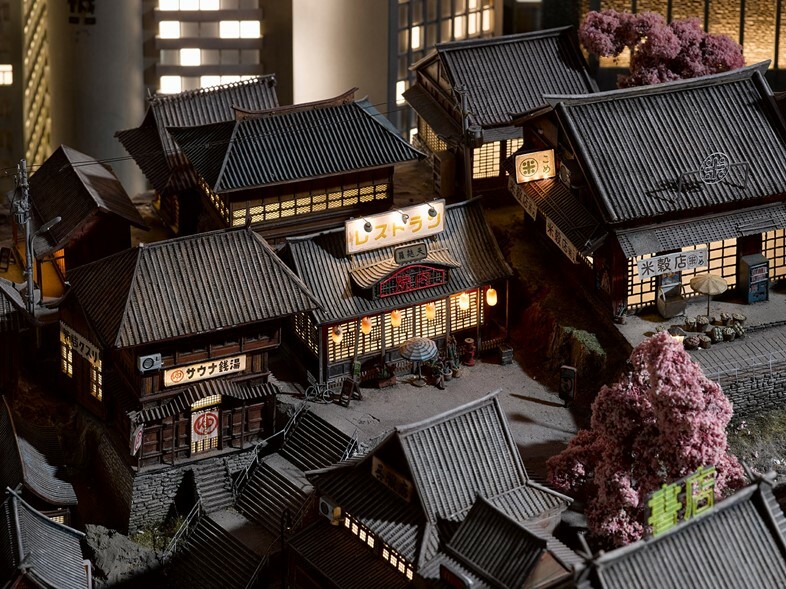 Rendered in extraordinary detail, the figures and settings are pleasing to behold, and range in scenario from experimental science laboratory, political amphitheatre, and market noodle bar to desolate rubbish-filled wastelands, a Japanese bathing room tiled with a beautiful cherry blossom scene, and the high-rise buildings of central Megasaki. 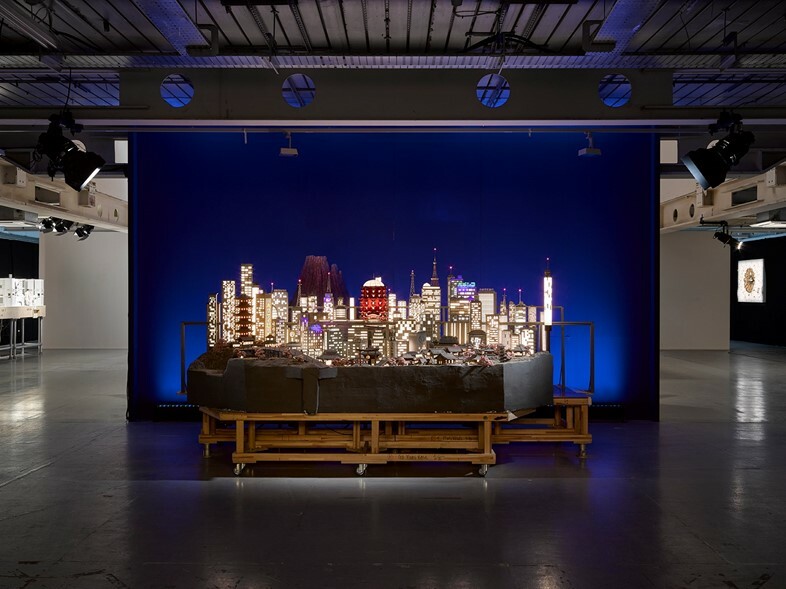 The film’s puppets were made using silicon and hard cast resin, explains Angela Kiely, who headed up the painting contingent of the 70-strong puppet department. “For Atari and a lot of the human faces we used a translucent resin, which we’ve never used before, which Wes really wanted because he wanted that really glow-y look,” she says. The result is an almost dewy finish, which somehow makes the human puppets seem both more realistic and ethereal, while the dogs are covered with alpaca and mohair wool (the kind that coats teddy bears, no less) to achieve a soft, fluffy-looking finish. Kiely explains that every detail of the puppets is hand painted: “We do the painting on the faces, on the costumes, on the fur of the dogs – everything, teeth, claws, eyes, dog collars, dog tags”. 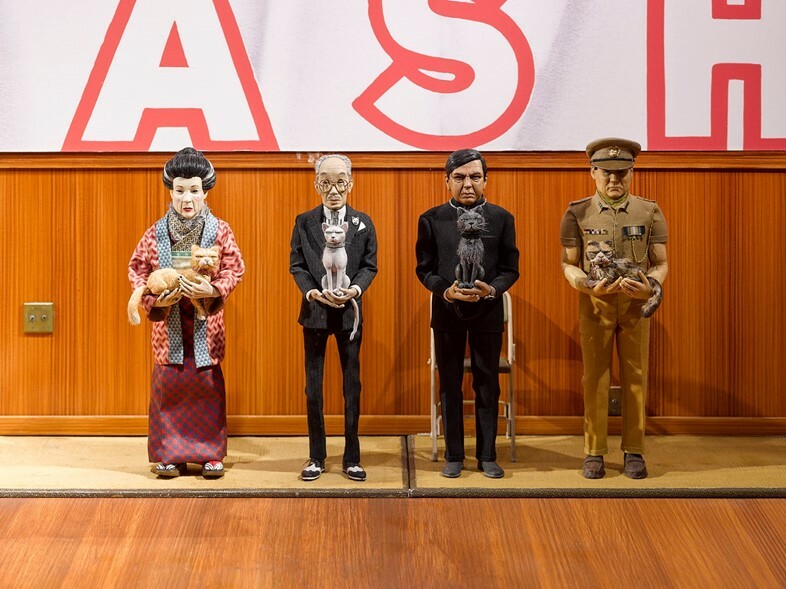 Sets and Puppets of Isle of Dogs is on at The Store X, 180 the Strand, until April 5, 2018.